Home Uncategorized West Bengal Madhyamik Exam 2014 Routine, Schedule & Time Table. West Bengal Madhyamik Exam 2014 Routine, Schedule & Time Table. West Bengal Madhyamik (Class-X) Examination 2014 will started from 24th February and end on 6th March. Know West Bengal Madhyamik 2014 routine, schedule and time table. 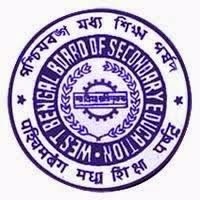 West Bengal Board of Secondary Education published Madhyamik 2014 routine. West Bengal Madhyamik Board announced the date of Madhyamik (Class-X) Exam 2014 dates. This season exam will start from 24th February and continue to 6th March. The exam will start at 11:45 a.m. and still continue to 03:00 p.m. Lets check the Madhyamik 2014 exam routine and time table. • 28/02/2014 (Friday) : History. • 01/03/2014 (Saturday) : Geography. • 03/03/2014 (Monday) : Mathematics. • 04/03/2014 (Tuesday) : Physical Science. • 05/03/2014 (Wednesday) : Life Science. • 06/03/2014 (Thursday) : All Additional / Optional Elective Subjects. valoi holo history por 2 din 6uti paoya galo………….geography ta valoi habe…………. Wish you all best of luck for your exam. Not fear my Brother and sister. What is 1st language paper 2? ebarer ekjan pariksharthi. -Diptasom Das. the…will we get a holiday on 25th?? So the new syllabus students like us will get an extra free day to study? Hmm…not bad! I must question the pacing though. Why the gap between English and History? It would have been better between History and Geography. Oh well, you can't expect the board to make life so easy for the students! why the p.sc is colourd in blue? Hello Debanjan, the 1st Language Paper II, only for old syllabus students. If you are from new syllabus, than you will only sit for 1st Language (i.e. Bengali) there is no part on new syllabus. What is 1st language Paper-II ?